We are thrilled to announce a wonderful new wedding collection for our recently engaged brides. 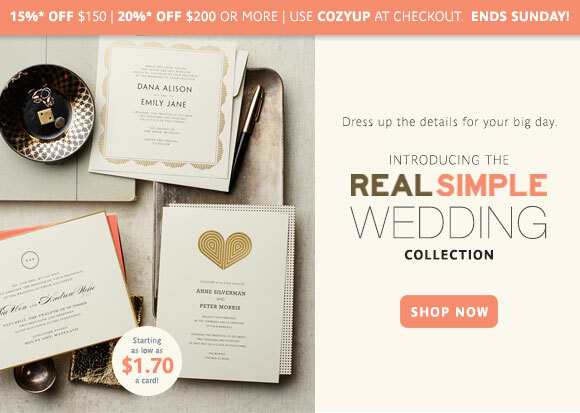 Introducing Real Simple Wedding, a brand new collection of invitations to help you say "I do". Dress up your big day with on-trend design details like metallic foiling, fun motifs, brilliant typography, and bold hues. Exclusively at FineStationery.com, this collection has hundreds of way to customize for your best day ever with prices starting as low as $1.70 a card.